The Maintenance Plan isn't a subject of a Quantity discount. The Siger Studio’s XSMP Studio Edition is a tool to manage materials within 3ds Max® and a continuation of well-known plugins Material Presets Pro (VMPP, CMPP). 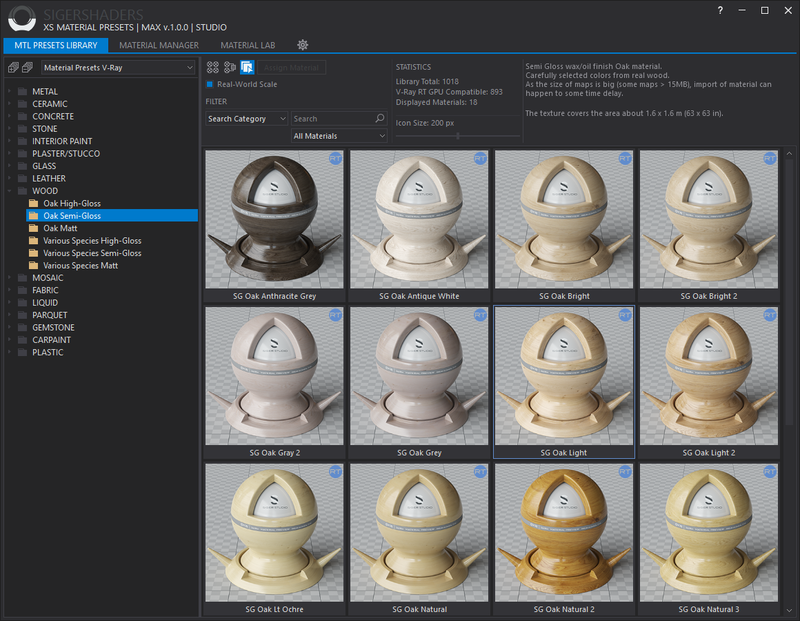 The Studio Edition include Material Presets Library for V-Ray, Material Presets Library for Corona, Material Manager and Material Lab.